Dean with some of the Reeves geldings. All of the geldings born on the ranch were started and sold as young horses. Dean began his horse program out of necessity, everything on the ranch was done horseback. There was a time where Dean owned up to 250 mares with 11 or 12 studs. Dean would sort the mares to send them with different studs. Dean’s children and grandchildren are still riding Reeves horses. Dean with a family man who taught his sons the ways of horsemanship that he himself learned from his father. The Reeves Quarter Horse breeding program began in 1935 when 60 Thoroughbred mares were given to Arthur Reeves. Eighty-three years later, the original bloodlines are being carried on by Arthur's grandchildren as both Arthur and one of his sons, Dean Reeves, posthumously received the 50 Year Legacy Breeder award from the South Dakota Quarter Horse Association in January. Dean began his own horse breeding program with a stallion and mares that his father raised and never strayed far from Roan Bar and Tom Baker bloodlines. "Dad's first mare was a mare called Prissy Anne and she was by Harmon King. 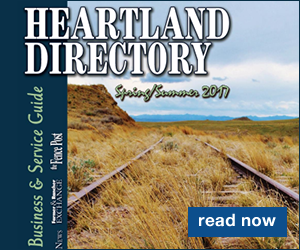 She was registered in the National Quarter Horse Association before the AQHA," said Jim Reeves, Dean's son. As time went on, Dean tried different crosses of Two Eyed Jack, Leo and Jackie B, all of which produced the athletic type of horses he was looking for. "Every time you bred a Roan Bar mare to one of these crosses it would bloom. Dad wanted a good headed horse with a lot of muscle and a good hip," Jim said. "That's what Dad and Grandpa and Bud wanted. Every one of them was fast and they were athletic, had good feet and good bones." Jim was the oldest of four children on the South Dakota ranch, 30 miles south of Eagle Butte where the family worked together with no running water, electricity or even a four-wheel-drive pickup truck until 1974. They used horses for everything. "We hauled water with the team, we fed cows with the team," said Bobbie Palczewski, Dean's daughter. "We did everything horseback. That was our mode of transportation, we didn't have 4 wheelers, bicycles or anything. We were just horseback." The four, Jim, Mary, Bobbie and Tom, never rode broke horses either. They would help their father start all the colts on the ranch and from a young age learned what horsemanship was from their father. "All of us kids became horsemen," Jim said. "Dad taught us anything and everything about horses. 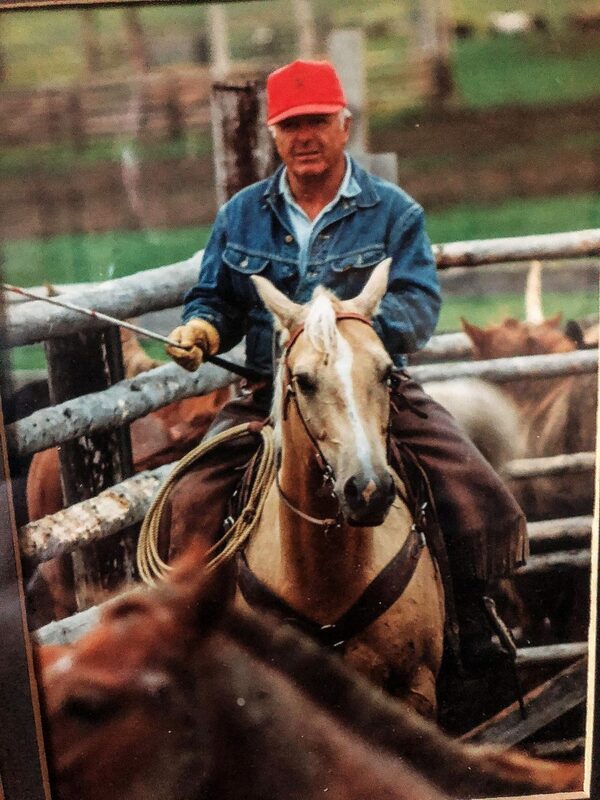 He taught us to work with the colts, he even taught us to ride broncs." The family would start between 15 and 20 colts per year. All the colts and fillies would get handled and fillies that made the cut would get turned out to become broodmares. All the geldings would get started and rode on the ranch until they were three years old. They would knot-rope on the colts to help them learn to track cattle, roping calves with knots tied before their hondos so that when loops got small, it would turn the calf without choking it, then fall of the calves heads. 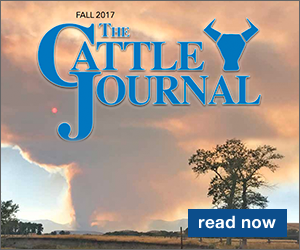 "Pretty soon your little green horse is tracking and following calves and when you throw your rope, he stops, so you'd be training them to rope calves almost immediately," Jim said. 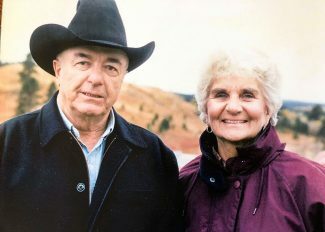 After moving to the ranch near Eagle Butte in 1963, there wasn't much fence up and the pastures were thousands of acres. When they fed with the team, they would tie their colts alongside the wagon and, once in the pasture, they would use their young horses to gather cattle to feed or water. 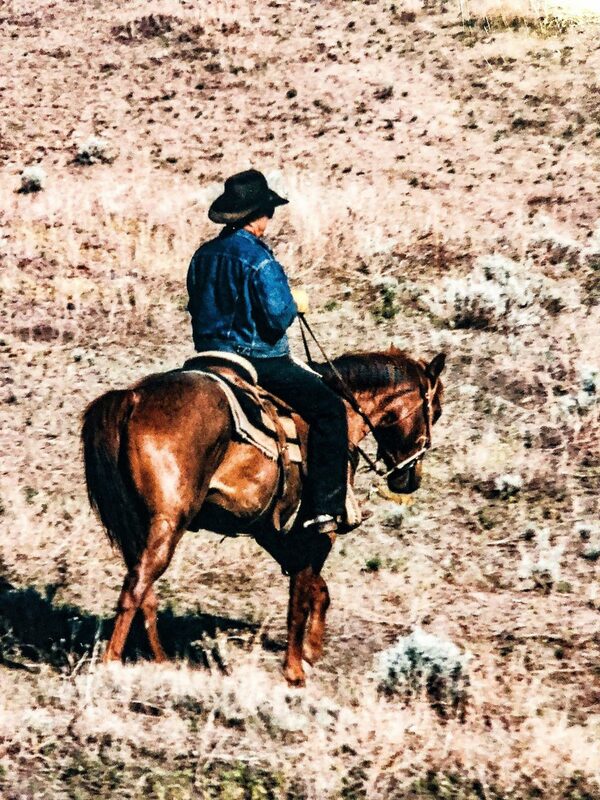 Jim recalls having to wrangle saddle horses when he was young and his father telling him that whatever direction the wind was blowing, that was likely where he would find the herd of horses in the 7,000 acre pasture. 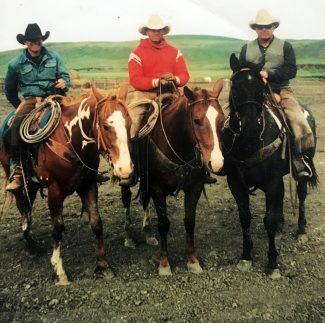 The horse program for the Reeves wasn't for a flamboyant lifestyle, it was out of necessity on the ranch, but it helped that the colts brought in a nice paycheck. "When the colts were ready, we would take them to sales in about a four-state region," Jim says. "Anywhere they had horse sales we would take from two to five head at a time. We did that for almost 25 years." Reeves horses with both Dean's, his father's and his brother's brands, were scattered all over South Dakota, North Dakota, Montana and Wyoming. In fact, Jim recalls seeing around ten horses with Reeves brands at the National High School Finals rodeo one year. 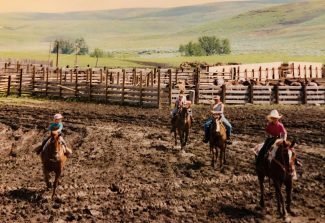 In the early 1990s, the family decided it was time to hold their own sale at the ranch and to build a reputation, they chose not to "no sale" any horse for the first few years. As the size of the sale grew, along with the Reeves mare band, 70 to 90 head of started horses were too many for Dean, the four children and their long-time hired hand, Spoke Yellowhead, to get ready for the September sale. For the remainder of sale's years, they hired on anywhere from five to 10 men to help ride the colts from the first of May until the first of September. 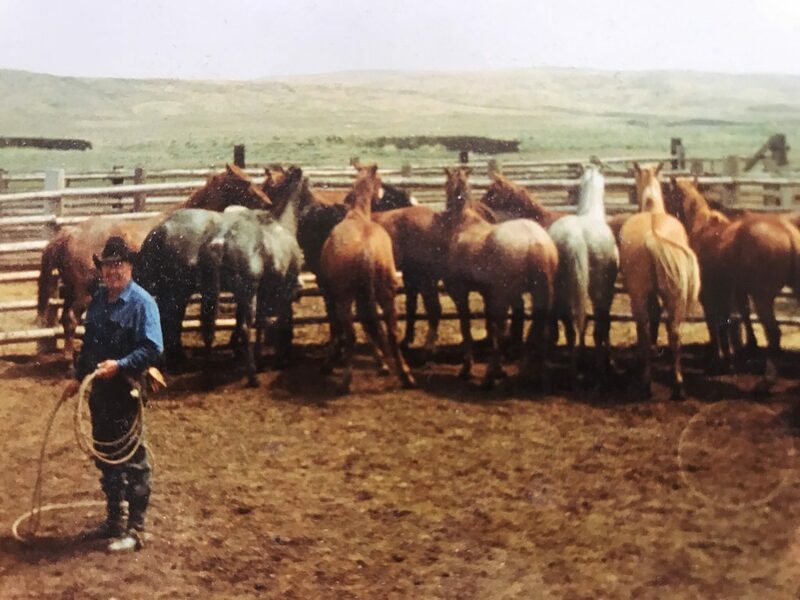 Among those who helped put on the sale were horseman such as Louis Brunson, Bart Edmondson, Beau Franzen, Romey Gunville, Josey Hauser, Archie Hulm, Bill Knight, Rocky Longbrake, DJ Martin, Wade Mitzel, Brett Price, Chris Reeves, Scott Saults, Mike Smith, Cody Taton, Ralph Taton, Walt Taton, Danny Walters and Tater Ward. "We couldn't put this size of horse sale on by ourselves," Jim said. "It takes an army." It also took a strong woman to feed the army all summer long, three meals a day, and Emma Lu Reeves did it. "Nobody could do it as good as mom," Bobbie said. "She cooked for 20 people all summer long and she also fed about 50 bum calves at a time that we could rope." When the economy changed in the early 2000s, the Reeves knew it was time to end the 15-year run. 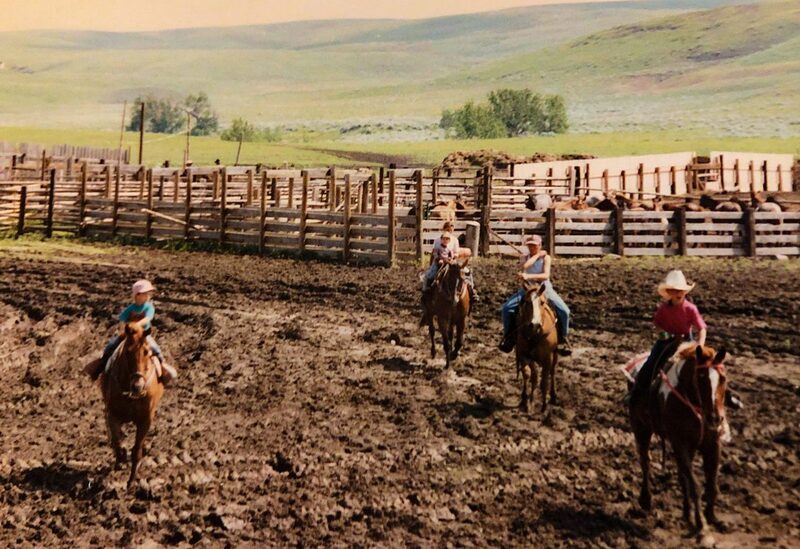 By then, Jim, Mary, Bobbie and Tom each had their own ranch or business to run and the horse program wasn't quite the necessity that it used to be. When Dean passed away in 2008, he still ran around 60 mares with 5 studs. 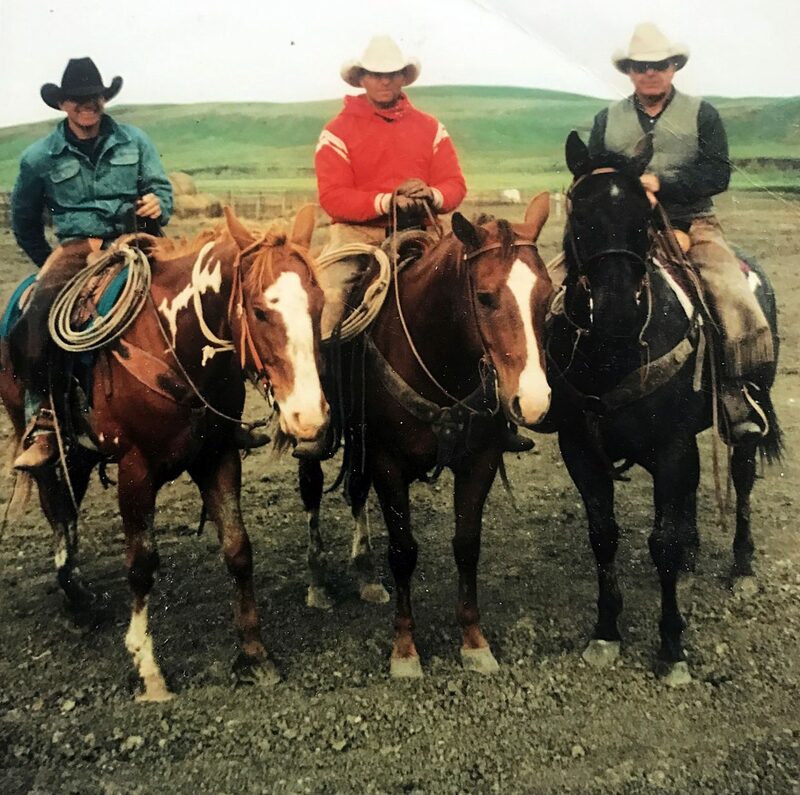 Today, Jim's son runs the family ranch near Eagle Butte and both the bloodlines from Dean's horse program and his ways of horsemanship are continuing to be passed to the next generations.